Try our delicious Coffee and Soya Caramel drink. 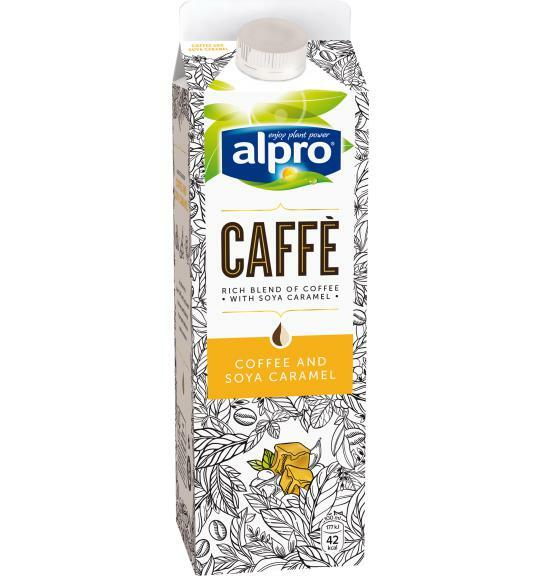 It’s a blend of Rainforest Alliance Coffee beans, the irresistible sweetness of caramel and all the plant-based goodness* of soya. Try adding a few ice cubes to make the perfect iced coffee, or simply chill and enjoy as a cold plant-based caffe latte or even why not try gently heating it up for when you need a warming caffe latte?. Even better is that it contains 30% less sugars**, making it the perfect pick-me-up when you want a plant-based iced coffee. *A source of protein. Protein contributes to the maintenance of muscle mass. A varied, balanced diet and a healthy lifestyle is recommended for good health. Contains soya. Free from dairy and gluten.